A Rocky Mtn Spoken-Word Showdown! 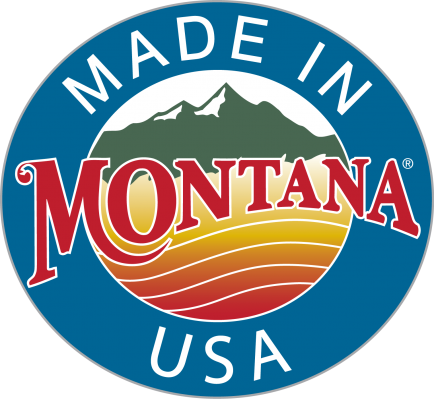 Our Montana-grown wines make a perfect four-pack of award-winning, wonderful flavors, ranging from red wines–Flathead Cherry, Range Rider and Farm Dog — to our outstanding white wine, St. Pepin. Order 6 bottles and receive a 5% discount. 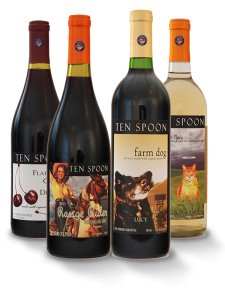 Order 1 case (12 bottles) and receive a 10% discount. A refund will be issued for defective products, or defective products will be replaced free of charge (including shipping) within 30 days. 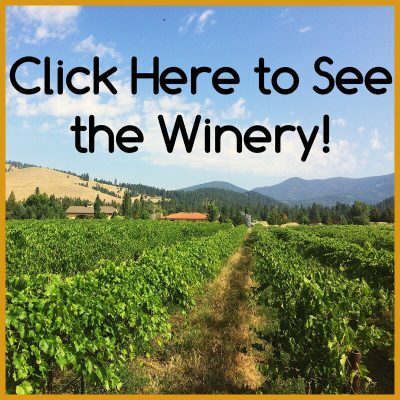 Please call us at 406.549.8703 or email us for information about wholesale discounts. UPS Ground shipments may be delayed during extreme weather conditions. Ten Spoon is not responsible for damage due to hot/cold weather. We encourage you to choose UPS 2nd day express to avoid freezing/overheating.